Has this winter given you the blues? It’s around this time of year when the winter weather can really start to wear you down. With stunningly cold temperatures all across the country, even in the states that are warmer during the winter, folks are really starting to miss the sunny days of the summer. Feelings of “hibernation” and depression are normal around the end of January/beginning of February. It’s called Seasonal Affective Disorder, and it can take a huge toll on your productivity and your business. As an entrepreneur and small business owner, you need to be able to give your all, all year round. You’re the boss and there are things that only you can do, but what if aren’t able to right now? What if all of the small, repetitive tasks are taking up all of your time and energy. Well, that might mean that it’s time to hire a virtual assistant to pick up the slack and help you plow through your winter blues! If there is one thing you can always seem to count on, it’s that technology will eventually fail, usually when you need it to work the most. One tiny bug in the system and everything can fall down, so when when a bug hits your website, that’s a big deal. Your website is your digital storefront, the place where your customers go to learn about you and your services. If they click on a Google link and a “404 Not Found” error messages pops up, that’s going to be a lost sale. Dealing with website headaches can take up your entire day, as you try to fix the problem with tech support or deal with it yourself. There is no need for that when you can hire a virtual assistant to take care of your website for you. Whether it is on Squarespace or WordPress, a skilled virtual assistant can do everything from designing your website from the ground up, to writing your web copy, to properly integrating all of your 3rd party plugins, and, most importantly, making sure that everything is working properly all the time. If anything happens, your virtual assistant will be right on the problem, fixing it before any of your customers even realize that anything was wrong. Is the long winter getting you down? It’s time to hire a virtual assistant to help! If you aren’t a professional writer, than copywriting can take up vast chunks of your day, draining your mental energy quickly. Even if you are an experienced writer, the constant grind of having to churn out a blog every week can really hurt your overall productivity. In the dead of winter, you might just think, “Eh, I can skip this week’s blog…” so you can get other things done. But why should you have to when you can hire a virtual assistant to take care of it for you? When you hire a virtual assistant to do your copywriting, you don’t have to worry about a thing. If you want to publish a weekly blog, just give them your ideas so they can build an approved editorial calendar, and then let them get to it. You’ll have a professional written blog in your inbox every week, ready to be posted. If you publish a weekly ezine, but can’t find the time to write an intro letter for it, get a virtual assistant to write it! They can look at your past ezine intros and pen one that will perfectly match your voice and writing style. You can hire a virtual assistant to do this on a recurring week-by-week basis or simply a one-off to take some of the pressure off your back. It’s up to you! When it comes to creating a marketing budget, you have to think about more than just money. You have to consider all of the time and energy that you are going to sink into creating and executing your marketing plan. It’s necessary, but exhausting work, especially when you haven’t spent years learning the ins and outs of effective marketing. One of the most cost-effective methods of marketing, especially in the wintertime, is email marketing. This can include anything from sending out a newsletter every week, to informing your customers and clients about upcoming promotions, to posting new blogs, or simply sending out personal messages. That’s a heck of a lot of work, so it’s best left to a virtual assistant. A virtual assistant can write all of your email marketing copy, design entire email campaigns, and help you develop an email list. Using programs like Mad Mimi, they can automate your emails to be sent out a prime times of the week/day, maximizing your exposure. When you send out a well-written and professional designed ezine or newsletter every month, your clients are far more likely to want to read it, rather than simply dump it into the junk folder. A VA can’t change the winter weather, but they can help lighten your winter workload! 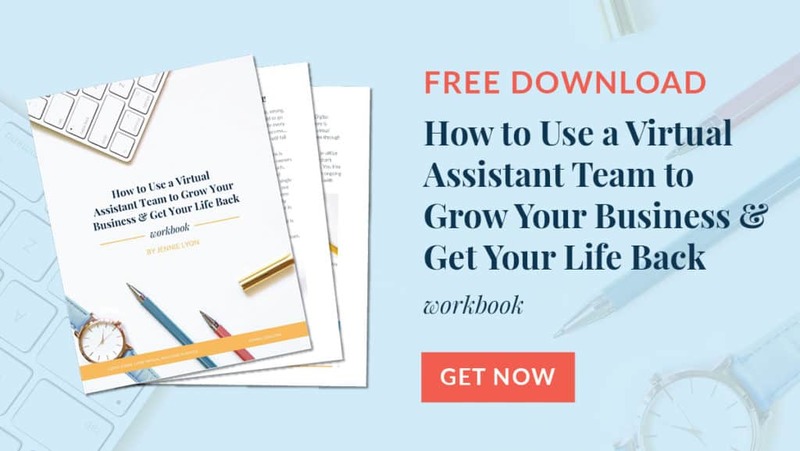 In fact, let me do you a favor, download my free workbook that walks you through partnering with a virtual assistant! If you need help getting your marketing strategy in place, collaborating with a virtual assistant can be a huge help! As you can see, just about the only thing that a virtual assistant can’t do is change the weather for you! But when it comes to handling everything else that makes the winter seem extra long and dreary, we have you covered. If you’d like to find out what a virtual assistant can to do brighten up the dark winter months and take some of the workload off your back, I invite you to contact me today!